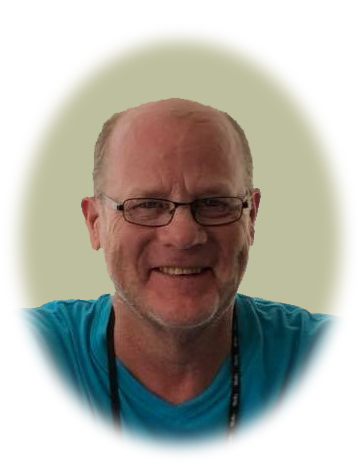 Mike Horsch, age 58, of Annandale unexpectedly left this world to be with our God in Heaven on April 6, 2019. Funeral Services will be held 11:00 a.m. Friday, April 12, 2019 at St. John's Lutheran Church in Annandale with Paul Bravinder and Rev. David Nelson will officiate. Visitation will be from 3-7 p.m. on Thursday, April 11 at Dingmann Funeral Care Chapel in Annandale with a prayer service at 7 p.m. Visitation will continue one hour prior to the funeral on Friday at the church. Private burial will be held at Mt. Hermon Lutheran Cemetery in Albion Township. Michael George Horsch was born on December 24, 1960 in Cokato, Minnesota, to Gaylan and Eunice “Lulu” (Ryti) Horsch. He was raised on his family farm just south of Annandale along with his siblings, Joe, Betsy, Todd, Jenny, Emily, and Ryan. He attended Annandale Schools where he was a multi-sport athlete in football and hockey; graduating with the Class of 1979. He was well-known and loved throughout his community due to his friendly and comedic personality and his willingness to lend a hand to anyone in need. After high school, he married the love of his life, Debbie Endres, of Buffalo, on June 1, 1985 at St. Francis Catholic Church in Buffalo. They moved into his childhood farmhouse where they raised their two daughters, Amanda and Jessica. He has maintained close relationships with his siblings and has been a beloved uncle to his many nieces and nephews. He has also enjoyed being a grandfather to his grandboys, Evan and William Rudningen, who adore him. His family meant the world to him and he spent as much time as possible with them. In his free time, he enjoyed woodworking, gardening, days by the pool with his family, and vacations with friends in Mexico. Mike will be dearly missed. We love you Mike. Mike is survived by his wife of 33 years, Debbie of Annandale; his daughters, Amanda (Kyle) Rudningen of Madison, WI and Jessica (significant other, Braidy Solie) of Eagan; his grandsons, Evan and William Rudningen; siblings Joe Horsch, Betsy Horsch, Todd (Cindy) Horsch, and Jenny Moe, all of Annandale; and his many nieces, nephews, other family members and friends. Mike was preceded in death by his father, Gaylan; mother, Eunice; sister, Emily; brother, Ryan; and stillborn daughter, Jacqueline. Chris, Greg and Austin Horsch, Dwight Moe and Dustin Ahlm will serve as pallbearers. Music will be provided by Orma Lou Jacobsma. Arrangements entrusted to Dingmann Funeral Care Burial & Cremation Services of Annandale.